Perennial. Zone 3. Asteraceae, formerly known as Compositae. Widespread in European and North Asian mountain regions. Perhaps most famously this plant is found the Swiss-Austrian-Bavarian Alps, where much of the popular culture folklore surrounding it has originated. 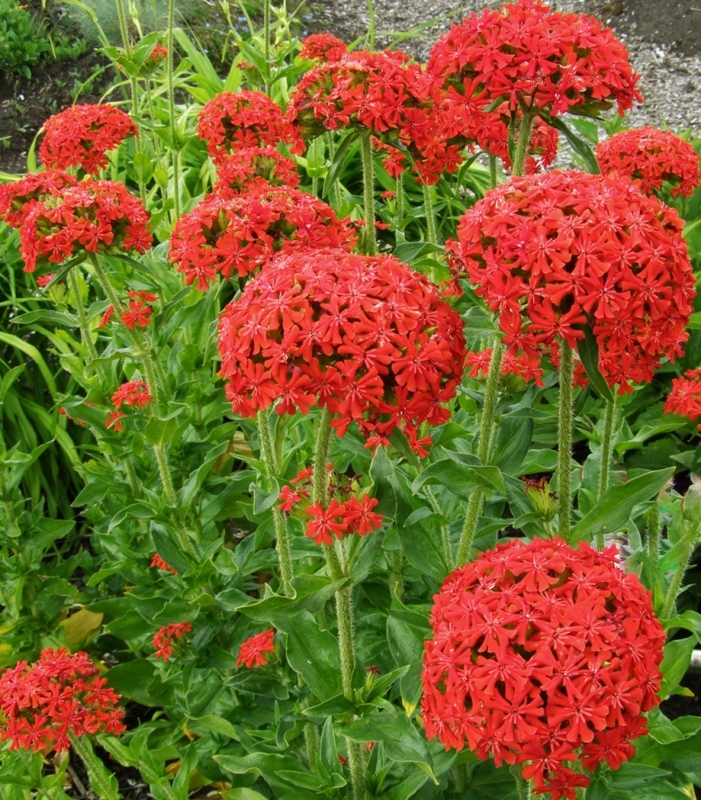 Leontopodium is a Latin translation from the Greek and literally means “lion’s paw”, for the shape of the flowers. This appearance is also noted in the local common name, Chatzen-Talpen, Swiss-German for “cat’s paw”. Alpinum is self explanatory. 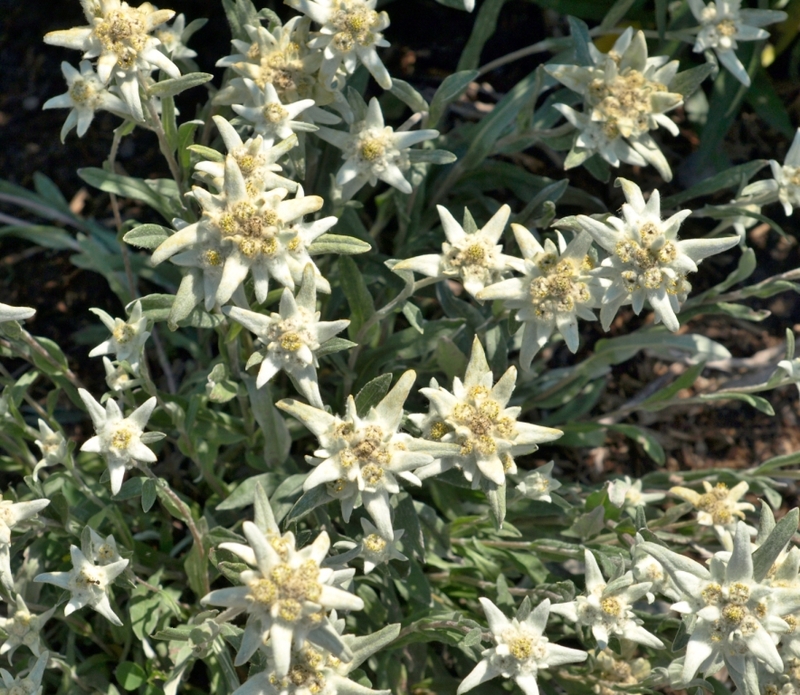 The common name Edelweiss is from the German: edel = noble, and weiss = white. 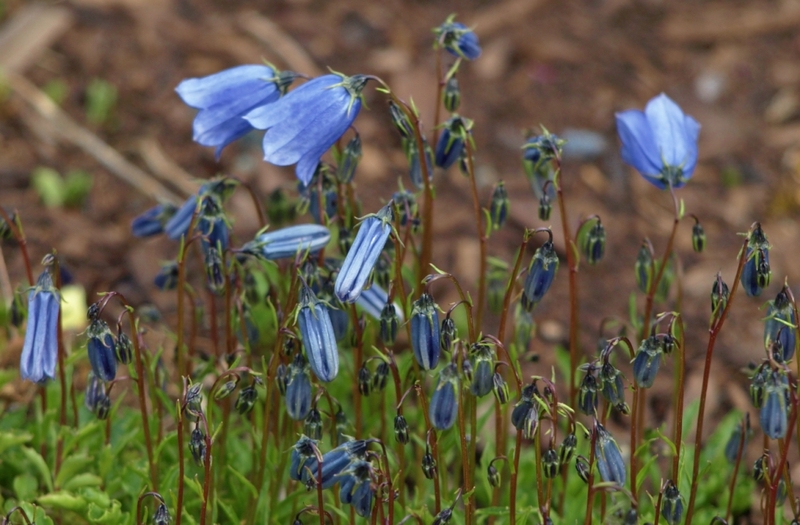 This small alpine plant has a fascinating history. It was something of a Victorian era symbol of bravery and devotion, for the flower was reputed to bloom only in the most inaccessible alpine regions. Fetching a bloom for one’s loved one to wear on her bosom proved your courage and dedication beyond doubt. This was something of a fictional fabrication, as the plants were not terribly rare or particularly hard to access, until the tourist boom in alpine climbing in the 1800s and over-picking as a souvenir caused heavy pressure on the species. 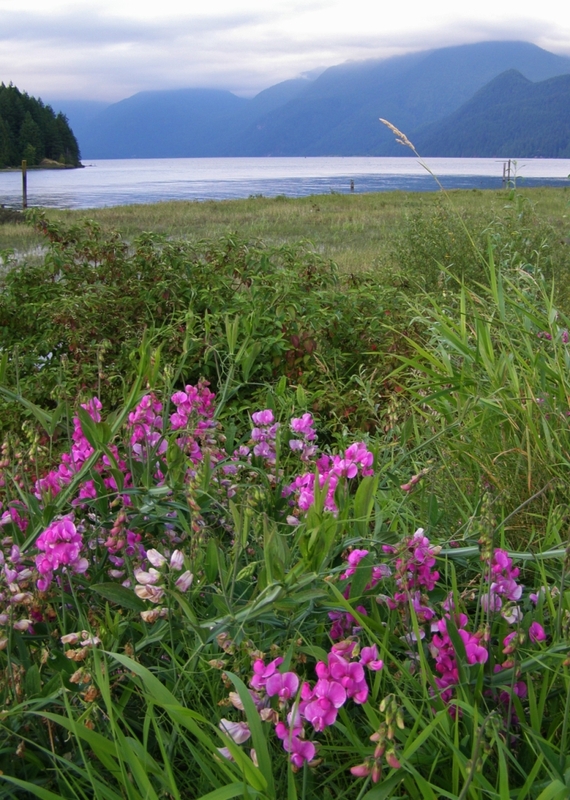 It is now a protected plant throughout its native ranges. Edelweiss was used as a military badge device by various European alpine countries, and, during World War II, ironically both by German special forces and by anti-Nazi youth groups in Germany. Edelweiss is now perhaps most strongly associated with Switzerland, though its range spreads far beyond the Swiss Alps. It appears on mountaineering club badges, coats of arms, and of course all sorts of tourist merchandise and handicrafts. And of course then there is “that song”, made famous in American popular culture by the Hollywood musical “The Sound of Music”, with its sentimental ode to the little alpine flower crooned lovingly by Julie Andrews and a troupe of winsome children. It is rather a sweet little thing, with the added appeal of being a grand everlasting. The wooly flowers dry perfectly, and always remind me of tiny white starfish. 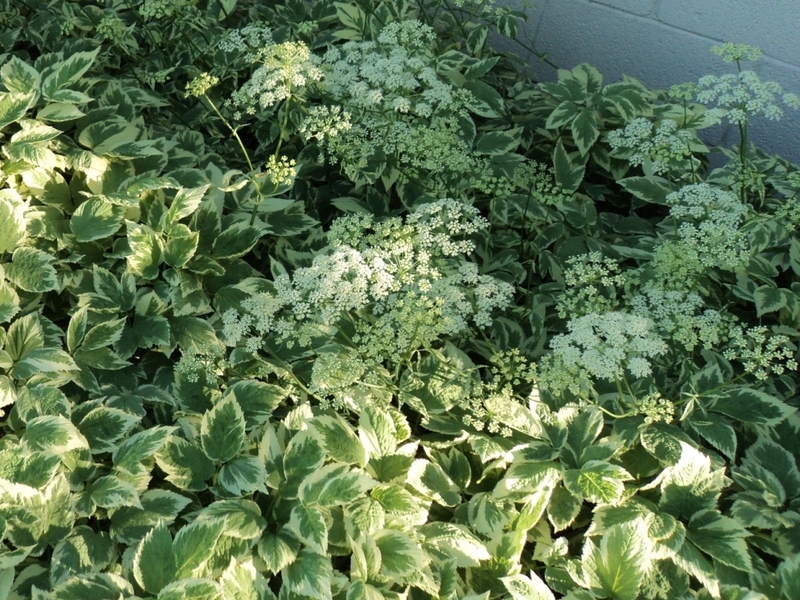 Tidy clumps of densely fuzzy, pale green foliage send up many 6 to 8 inch tall stems topped by clusters of woolly-white star-shaped blooms in summer. These last for a very long time in the garden, and, as just mentioned, make excellent everlastings. A very soft and appealing flower. Leontopodium alpinum is perhaps happiest in a rockery or on a slight slope at the border edge; it appreciates sharp drainage. Any average soil will do, with some summer moisture appreciated. Full sun is best, to very light shade. For the dedicated rock gardeners, it is worth noting that are quite a number of excellent Leontopodium species, from tiny ground-huggers to substantial clumpers up to a foot tall, hailing from a wide array of mountain ranges, including the Himalayas. Alpine garden club seed exchanges are a rich resource if seeking these out. Not a long-lived plant by nature, Edelweiss often fades away after a few years. 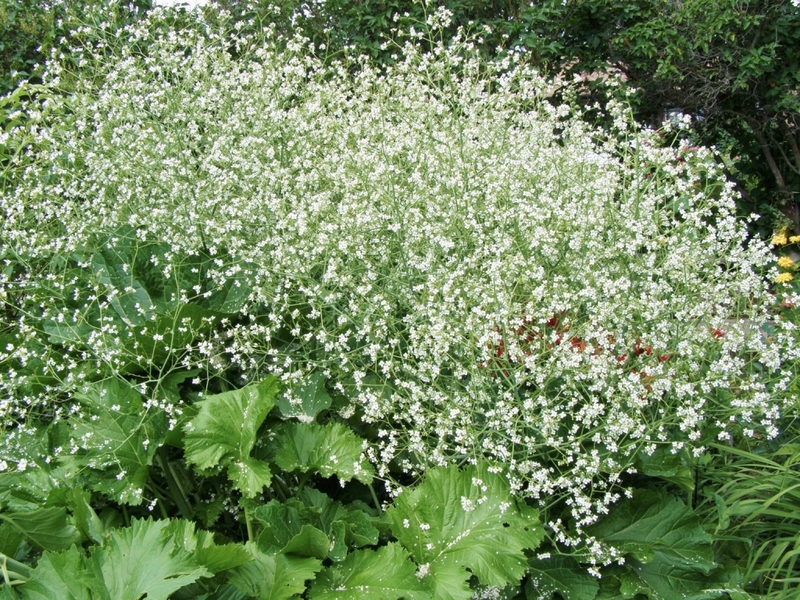 It is a profuse bloomer and this sometimes causes the plant to not have enough resources to overwinter after a few seasons of pushing out an endless succession of flowers. 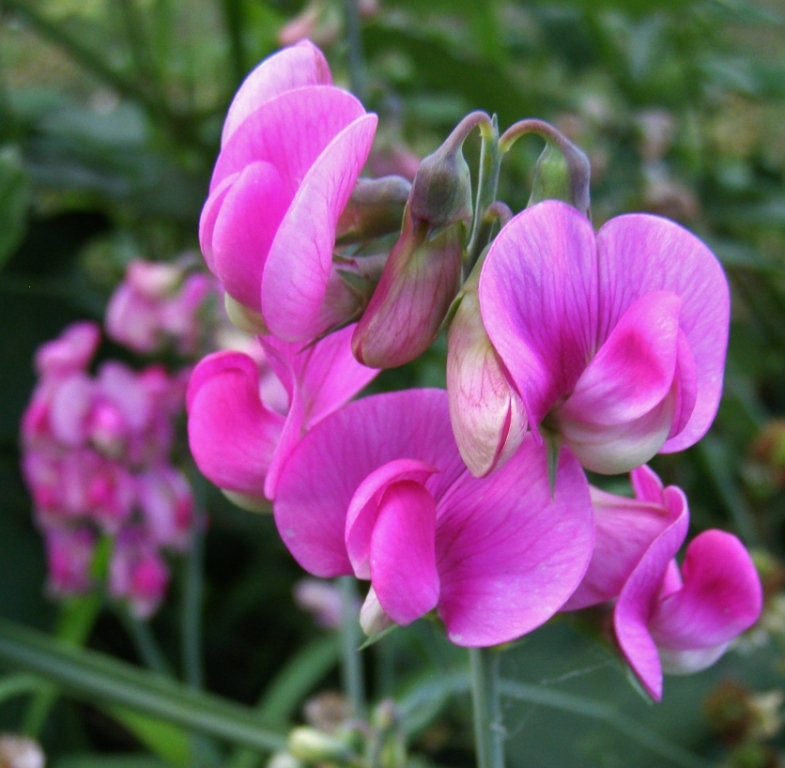 One may allow a few blooms to mature seed to collect for re-sowing indoors in early spring. I have never noticed self-sown seedlings, though in a less crowded garden than my own and with a certain amount of care and attention I suspect one could create a naturalized, self-maintaining colony of this easy little alpine. Annual. Papaveraceae. Syn. Argemone platyceras, A. intermedia, A. intermedia var. polyanthemos. A.k.a. WHITE PRICKLY POPPY, BLUESTEM PRICKLY POPPY. North America; Eastern base of the Rocky Mountains and throughout the Great Plains. Argemone is from the Greek argema, referring to an eye cataract, as the sap from the plants was once used to treat that ailment. Polyanthemos = many flowered. The North American prickly poppies are surprising things. Stems, foliage and even the flower buds are wickedly armoured with thorny spines, yet the large blooms are silken textured and fragile-looking out of all expectation. The weaponry is obviously there to protect against grazing animals, and that useful adaptation has me wondering what purpose the showy flowers fulfill. Perhaps as a beacon and landing stage for pollinating insects, which may be scarce in Argemone‘s desert and near-desert natural habitats? Whatever the reason for the extravagant floral display, the beauty of this wildflower and its equally attractive relatives is without debate, and it has become a treasured garden annual in botanical and collectors’ gardens around the world. 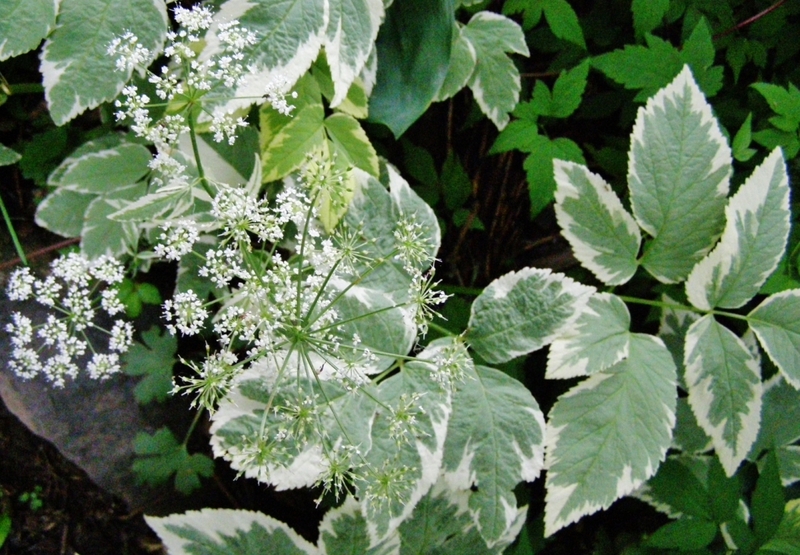 Grey-green, white-veined, relatively softly spined foliage clumps produce elongated bloom stalks topped by clusters of spiky buds. These bud sheaths break apart to release large, pure white, golden-eyed blooms in June, July and August. Petals are silken-sheened and wonderfully crinkled; the golden stamen clusters release their pollen to colour the flower centers a delicate yellow tint. Pollen darkens with age, tipping the central stamens with burgundy. 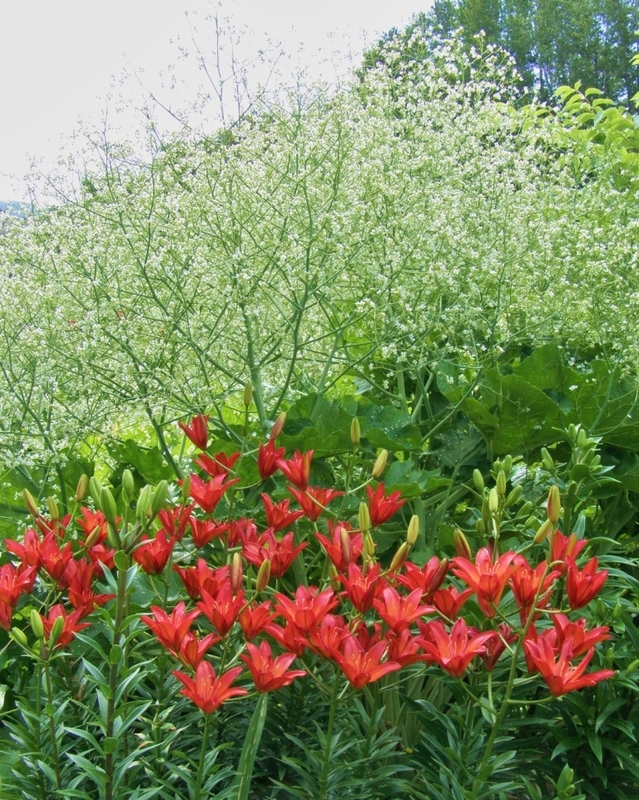 Individual blooms last only a few days each, but are continually followed by others, for a prolonged period of show. If you have occasion to snap off a leaf or stem, you will notice the sticky, bright yellow sap. 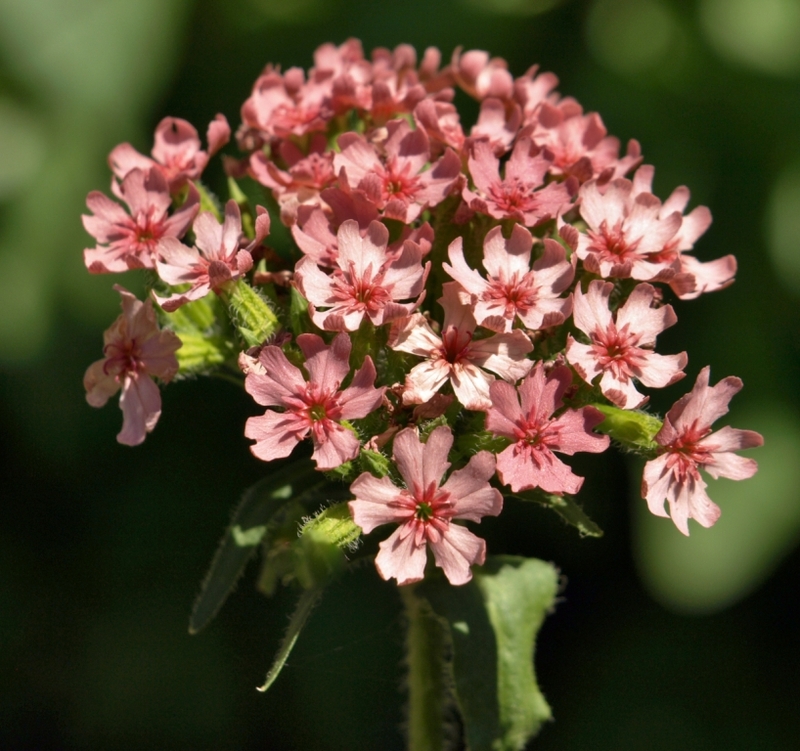 This was once used medicinally by First Nations peoples for a variety of complaints, including eye ailments, and as a remedy against nervous irritability. Argemone polyanthemos is currently used in herbal medicine as a non-opioid, non-addictive, reportedly highly effective pain reliever, similar in action but not in side-effect to that other famed poppy product, morphine. However the body apparently quickly builds up a resistance to the effects of Prickly Poppy’s active alkaloid, argemonic acid, so it is useful for short term effects only. It also is reported to have no effect (beneficial or otherwise) on those already habituated to morphine and codeine use. 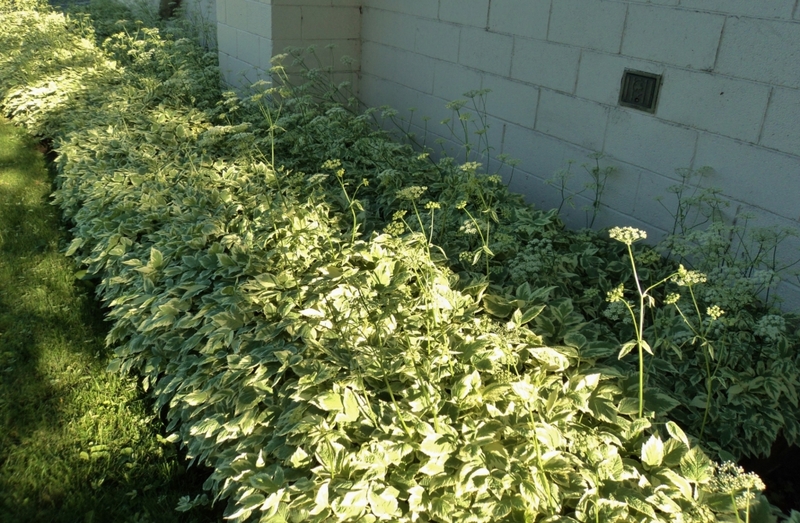 Argemone polyanthemos is quite a large plant, from 2 to 4 feet tall. 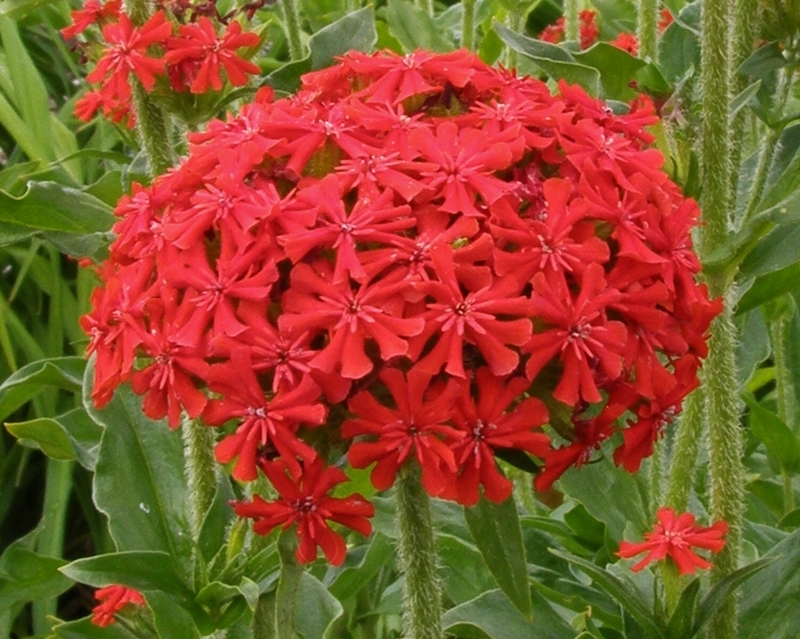 It frequently branches out from a central stalk to form a somewhat bushy clump, though it is in general taller than it is wide. Crested Prickly Poppy fits in well with perennials in the permanent border, or among other annuals. 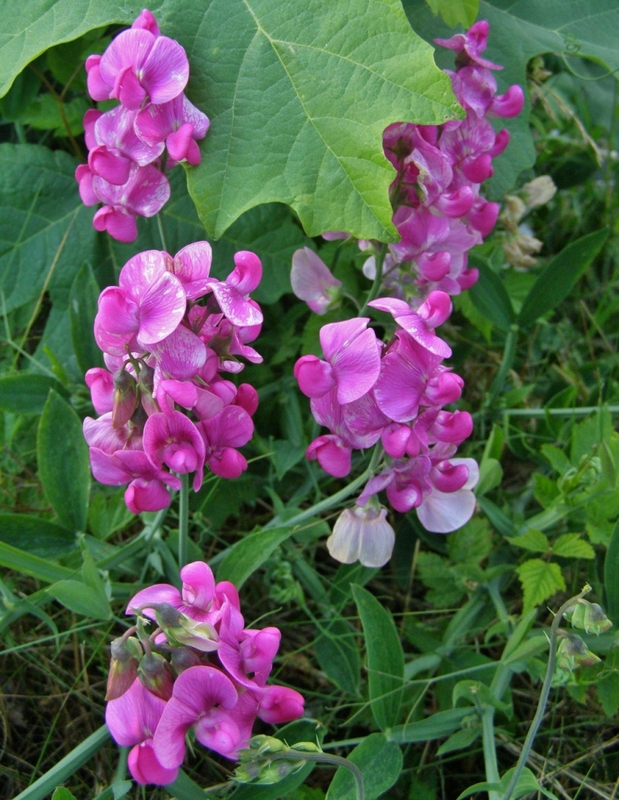 Reblooms if deadheaded, but leave a few pods to set seed, for if you are fortunate this will self-sow. Poppies in general are notoriously difficult to transplant, so handle potted seedlings very carefully to avoid disturbing the delicate tap root, and try to get to self sown seedlings when they are still tiny, taking a generous trowel-full of soil with each baby you wish to relocate. 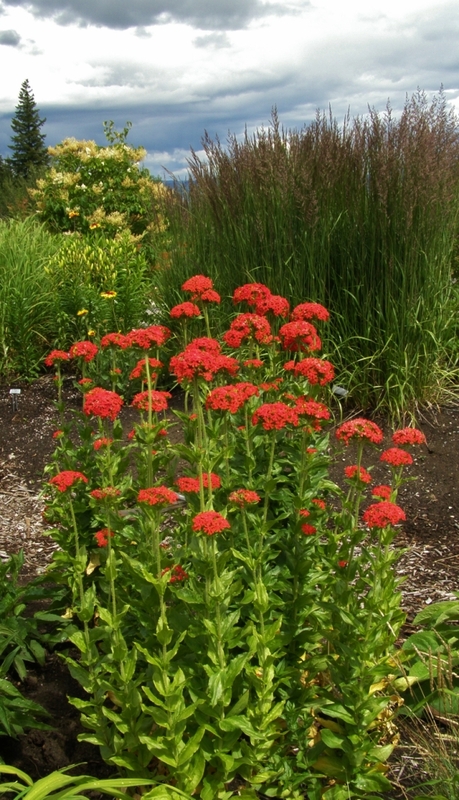 Sun; well-drained soil; drought tolerant.